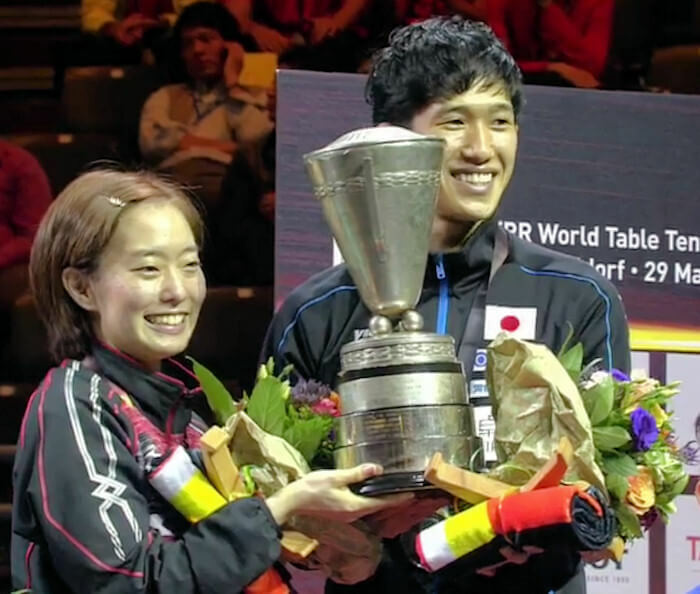 The 2017 World Table Tennis Championship was held in Dusseldorf, Germany from Monday 29 May to Monday 5 June 2017 at the Messe Dusseldorf, Messeplatz (Entrance north), 40474 Dusseldorf. The first round proper of Men's Singles and Women's Singles had 128 places and the first round proper of Men's Doubles, Women's Doubles and Mixed Doubles had 64 places. Singles events had 64 seeded players, 32 direct entries and 32 qualifiers. Doubles events had 32 seeded pairs, 16 direct entries and 16 qualifiers. Qualification for singles initially comprise groups followed by one or two knockout rounds. Qualification for doubles was by knockout. All singles matches were the best of 7 games. Doubles matches were the best of 5 games in the qualification matches and best of 7 games in the main draw. 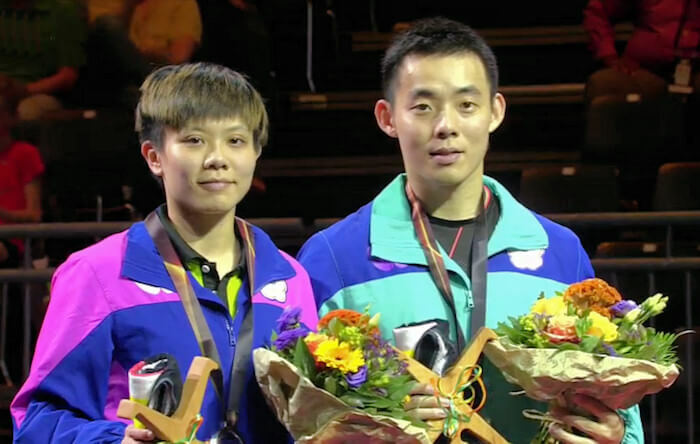 Each association could enter 3 men and 3 women players in each singles events - plus one additional player ranked in the top 100 and one additional player ranked in the top 20 of the ITTF world ranking list issued in January of the year of the Championships - up to a maximum of 5 men and 5 women. 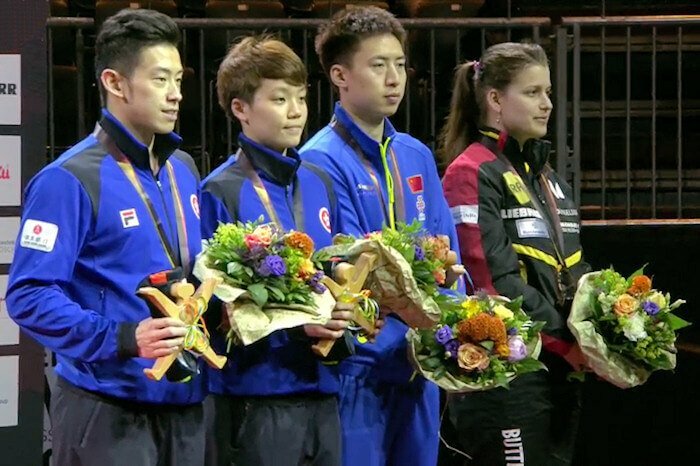 The maximum entry for each association was 2 men's doubles, 2 women's doubles and 2 mixed doubles - but all players could be different. The host Association could enter up to 6 men and 6 women in each singles event, 3 men's doubles, 3 women's doubles and 3 mixed doubles regardless of ranking. In doubles events, both players could be from different Associations. 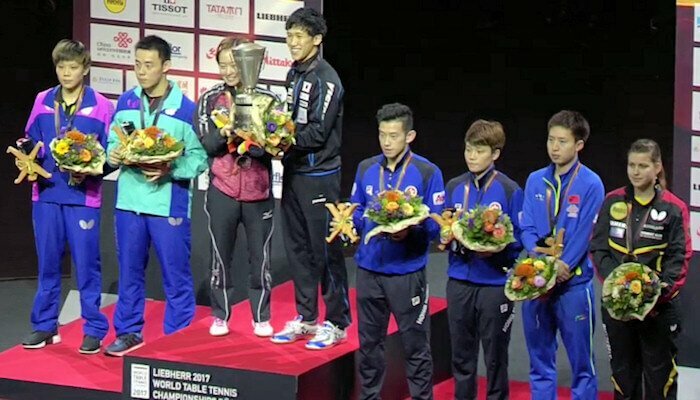 The seedings were based on the current ITTF Doubles Rankings.